On Tuesday, the third protest in 10 days was staged by the opposition parties in the capital of Tirana. Thousands of protestors mobilised in just a couple of hours to assemble outside the Parliament where the speaker, Gramoz Ruci called a parliamentary session at the last minute, ignoring the requirement to notify members 48 hours in advance. The protests became tense at times with minor scuffles and vandalism reported and the police responded by gassing the protestors with tear gas. One protestor explained how he had to hold a scarf over his infant daughters face as he tried to escape the vast clouds of gas that were launched into the crowd. Following several weeks of uncertainty across the region with protests and parliamentary boycotts in Montenegro and Serbia, European Commission spokesperson Maja Kocijancic called on opposition parties to return to their seats. This week, spokespeople from the three countries stated that they would not comply. Kocijancic spoke at a press conference on Monday stating that “parliament is a place for discussion” and that this should be heeded by countries in the Western Balkans. She was swiftly challenged by a present journalist who asked why the EC was praising governments in the region despite them violating fundamental rights and the rule of law. In Montenegro, most opposition MPS stopped attending parliament after elections in 2016 were mired in controversy and allegations of poll violations. In 2018, the Montenegrin alliance the Democratic Front return to parliament but many smaller parties continued their boycott. Dritan Abazociv, leader of the Montenegrin URA movement stated that the EU failed to see things from a Western Balkan perspective because “Brussels and developed EU countries don’t have problems with democracy”. He listed election fraud, the threatening of voters and failings in the media as reasons for the continuation of the boycott. In Serbia, the opposition party known as the Alliance of Serbia have decided to walk out of parliament due to a long list of abuses of the various assemblies by the ruling Serbian Progressive Party, headed by President Aleksandar Vucic. Serbian opposition MP Marinika Tepic stated that “Mrs Kocijancic would do the same as us if she thought about it and was in our place”. In Albania, former Democratic Party MP Izmira Ulqinaku called out the EU for their failure to speak out against corruption and crime in the country. “For too long, senior figures of EU institutions have kept silent about corruption, state capture by criminal interests, and the autocratic rule of Mr Rama” she said in a statement to BIRN. 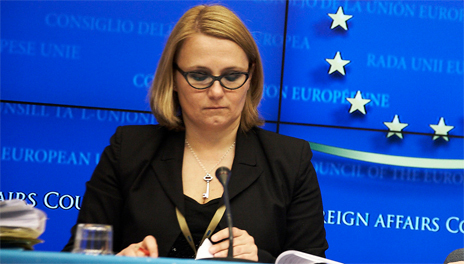 She added that Western media have published significant evidence of government cooperation with criminal gangs resulting in the rigging of the 2017 general elections, yet the European Commission is yet to react.